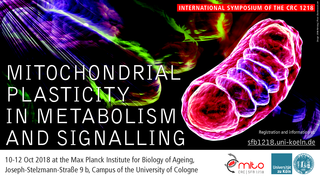 "Mitochondrial Plasticity in Metabolism and Signalling"
You are cordially invited to attend the International Symposium on "Mitochondrial Plasticity in Metabolism and Signalling" to be held in Cologne, October 10-12, 2018. The meeting will take place in the Max Planck Institute for Biology of Ageing on the Campus of the University Clinics of Cologne. 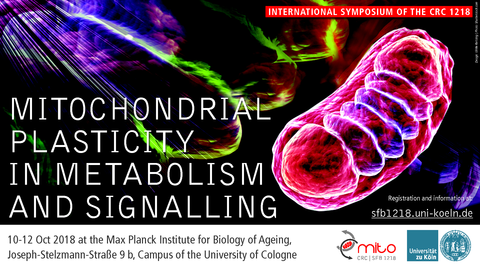 We are pleased that excellent, international speakers accepted our invitation and would be happy to welcome you in Cologne.